BUSINESS ADVISORY FIRM Deloitte announced today it has commenced a search for 200 graduates and 80 professionals to fill positions in its Irish business. The graduate positions are for an initial three and a half year contract and will be available in the Dublin, Cork and Limerick offices, across all departments including audit, tax, consulting, corporate finance and enterprise risk services. Successful candidates will start in autumn 2013 and applications are being encouraged from students of all academic disciplines, not only those with accountancy backgrounds. Commenting on the announcement, Brendan Jennings, Managing Partner at Deloitte said the company is excited to hear from graduates and proud to offer such a range of career paths. Jennings said graduates will receive “top-level training in the state of the art Deloitte Academy, the opportunity to work with some of Ireland’s most prestigious companies, as well as rapid career progression, opportunities to work abroad and a whole range of benefits both on a professional and personal level”. In addition to graduate opportunities, the company has 80 positions available for technology, management consulting and risk professionals. Graduates are encouraged to attend the company’s recruitment events in campuses over the coming months and can apply online via the graduate recruitment website which will be open from September 10. Details on positions for professionals can be found here. Email “Deloitte announces search for 280 new staff”. 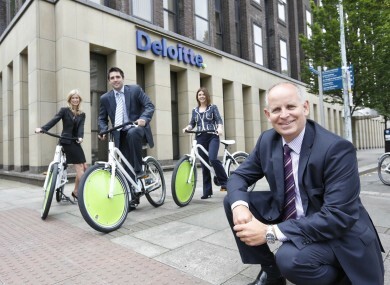 Feedback on “Deloitte announces search for 280 new staff”.